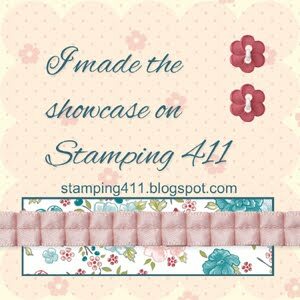 It's been another great stamping week at Stamping 411! Thanks for all who played along with our challenge. Here are your Operator Picks for Saturday Sketch Challenge #262! WOW! Thanks for choosing me as an Operator's Pick this week! Love playing along with you ladies...always great sketches and samples, and always such Amazing support too. You ladies are the best....I wanna be just like y'all when I grow up! :) Can't wait to see the new sketch. Congrats to your other pics. How fabulous are they!?! Thanks for chosing my card as an operator's Pick this week. I'm having so much fun playing with my new SU! gear. Love new stuff - stirs my mojo! Thank you for choosing my card as an operator's pick this week. :) I had a blast making this card for my friend! Congrats to all the winners this week! 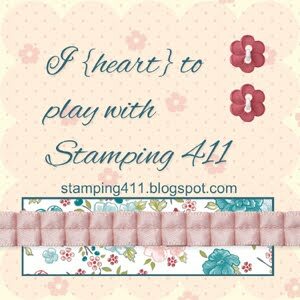 Always an inspiration to check out every one's cards even though I don't always get a chance to play along. So excited I was picked as an Operator's Pick this week! It was a lot of fun making it!